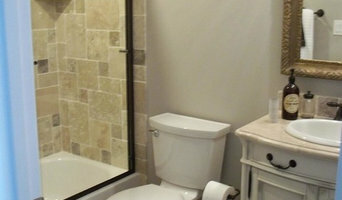 L. Madeux Home Improvements has been serving customers since 2005 in the greater Danbury area. We specialize in residential interior repairs and remodeling of kitchens, baths, closets. 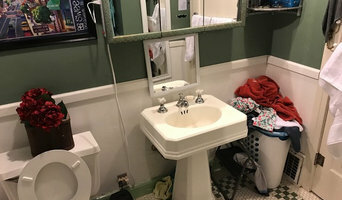 We install and repair tile, sheetrock, painting, flooring, cabinetry, and general home repairs: light carpentry, faucets, toilets, window and doors, outlets and lighting, broken hardware, general maintenance, Nest installs, etc. 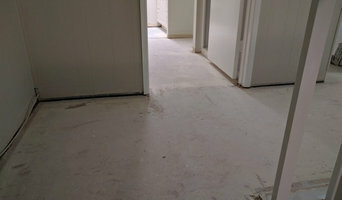 We are a woman-owned licensed and fully insured Connecticut Home Improvement Contractor (HIC) and a CT and EPA Licensed Lead Renovation, Repair and Painting (RRP) Contractor. Cransten Handyman and Construction is the one stop you need for all of your home projects. We can do everything including, but not limited to: Drywall, Painting, Tiling, Small Electrical and Plumbing, Sprinkler Repairs, Landscaping, Flooring, Carpet, Bathroom Remodels, Basement Finishes, Deck and Porch Builds We do this and much much more! Give us a call at (800) 718-6015 to see if there is anything we can do to help! Handyman Maintenance and Repairs. Craig and Connie Mandeville also offer MAINTENANCE MANAGEMENT, FUNCTIONAL MAINTENANCE INSPECTIONS, and REGULAR MAINTENANCE PLANS to Protect Your Investment, and the Safety of its Occupants! Do you have home maintenance that you simply haven’t had time to complete? Would you prefer to outsource certain property repairs to an experienced, qualified professional service? Or, have you considered upgrading to a universal design for ease of use including home automation, security features, or age-in-place technology? Contact us! 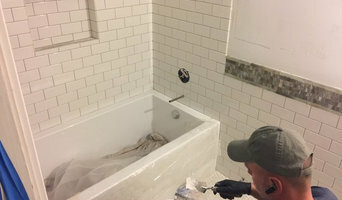 Two Brothers Handyman Service LLC we love every type of project from large scale renovation to even the smallest of jobs! We specialize in quality workmanship at affordable prices. We take pride in maintaining a consistently high-caliber level of work. Open and honest lines of communication with our clients during every step of the project is key to building relationships with successful outcomes. We are a professional handyman and home improvement service fully licensed and insured, not to mention our work is satisfaction guaranteed. We're a family business that builds relationships through personalized quality service that we aspire to give to every person that we work for. Our focus is to meet the needs of our customers working with the highest standards. We do all kinds of home repairs small and big we can help you! Hacemos todo tipo de reparaciones pequeñas o grandes estamos para ayudarle! Rent-A-Pro Handyman has helped homeowners with projects ranging from bathroom & kitchen remodels to full home renovations. Whether your project is large or small, we are the guys to call. With over 25 years of experience to our credit, we've worked on everything from drywall and cabinetry to the installation of new flooring and remodeling of kitchens and bathrooms. All of our tradesmen are personally selected with your home improvement needs in mind. We only deal with the most experienced tradesmen to ensure quality and efficient service. Custom Woodworking, Handyman & Specialty Services.